54 piece tray jigsaw puzzle can be personalised with your own design on the front and on the back of the puzzle, that means you have double the size of area to showcase your design. Middle sized pieces ensure that it won’t be too hard for anyone to solve the puzzle. This jigsaw puzzle comes beautifully shrink wrapped in pvc foil, which lets the receiver see your design. The cardboard frame and backing holds the puzzle pieces together. 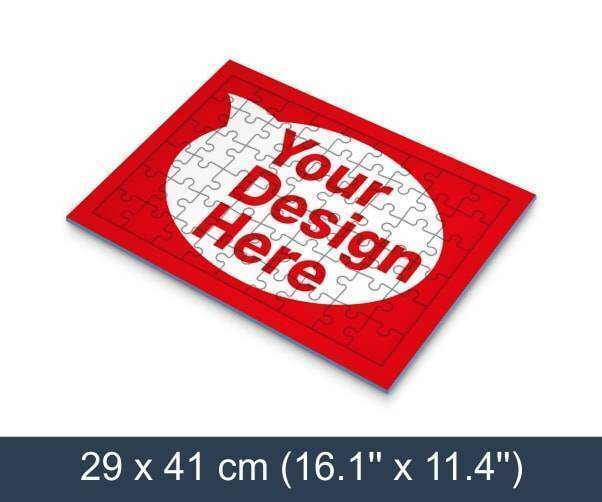 This jigsaw puzzle is perfect for giveaways and marketing activities!